Customers walk in to buy six months worth of toilet paper and walk out with the latest flat screen TV and a case of French Champagne. Where else would this type of consumer behavior be possible but at Costco, the US’s most successful warehouse club/retailer. Costco has an interesting mix of customers, it tends to attract more affluent customers in as great a volume as lower income customers. It is very selective about the products it chooses and is always varying the merchandise on offer. Customers tend to shop their regularly and come back for that intangible feeling that is created by the store’s atmosphere. It is always busy, goods are stacked in large warehouse style pallets, there is a “racetrack” style circuit that shoppers are guided through which means that get to see virtually everything on offer each visit. 1. Will I get the right product for my needs? 2. Will I get the best price available? Costco takes the risk out of purchasing by having one of the most generous product return policies on the planet, I recall seeing a women return a vacuum cleaner that was at least 5 years old and considerably used. She was refunded – no questions asked. 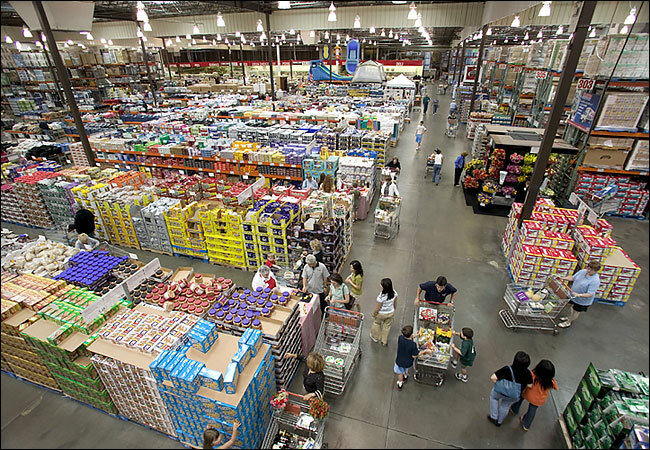 Costco’s pricing is always tracking pricing of their competition both online and offline and driving hard bargains with suppliers to make sure they are super competitive. They mark up their products by 15% so if they buy at the right price that sales price will always be very competitive. This strategy puts customers at ease, confident they will be getting great value on high quality products. Another part of the strategy is to sell in bulk which means consumers buy more than they usually would of particular products. When consumers see the pricing they can get per unit on bulk purchases they can’t resist. A powerful customer focused culture. Jim Sinegal, Costco’s former CEO, in a recent CNBC documentary on the “Costco Craze” described the secret of Costco’s success was its culture. Jim has created a culture where there are no divisions between leadership and staff, everyone is on the same page when it comes to understanding Costco’s customers and what makes their model work. Every employee knows their role in creating the right environment for customer’s to have the “Costco experience”. Employees are paid fair wages (higher than competitors) that reflect their importance in contributing to the customer experience. As CEO he is constantly on the move visiting Costco’s 580 stores across 9 countries every year, getting direct feedback from customers and his employees as to what’s working and what is not. Remember this is a $89 billion business. How many CEOs set that tone for their organizations? Inside the Box: What’s the secret to Costco’s success? This entry was posted in Competitor Insight, Customer Centric Culture, Customer Centric Leadership, customer focus, Customer Insight, Customer Value, Customer-Centricity, Employee Engagement, Market Driven, Strategic Alignment, Uncategorized and tagged costco; jim Sinegal; CEO customer focused leadership; customer centricity; customer focus; customer insight. Bookmark the permalink.